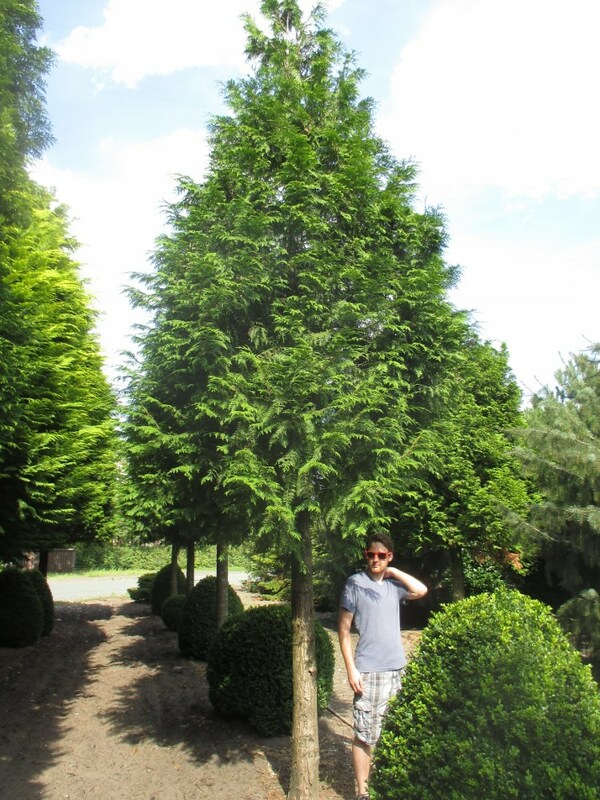 Thuja plicata Excelsa is a slender, fast growing evergreen tree with a conical shape. 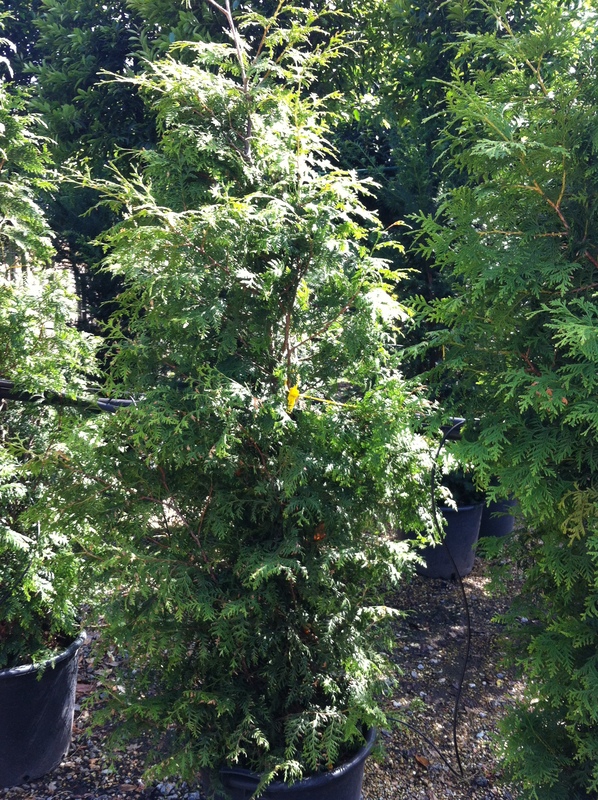 The mid green foliage, which is aromatic when crushed, is formed of flat sprays of scale like leaves. Clusters of small cones are produced in spring, green then ripening to brown at maturity. 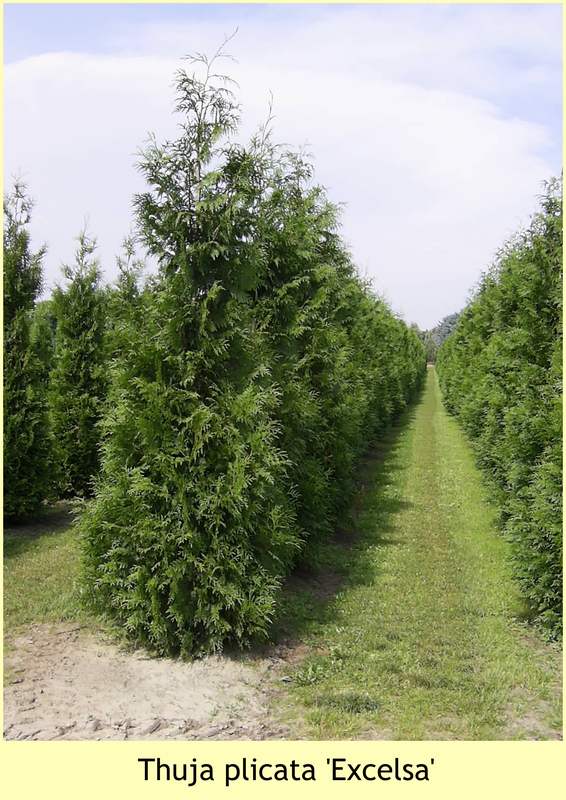 Excelsa Western Red Cedar is a good tree to plant for privacy, and can be left natural or pruned to create evergreen screening; it is very adaptable and low maintenance. 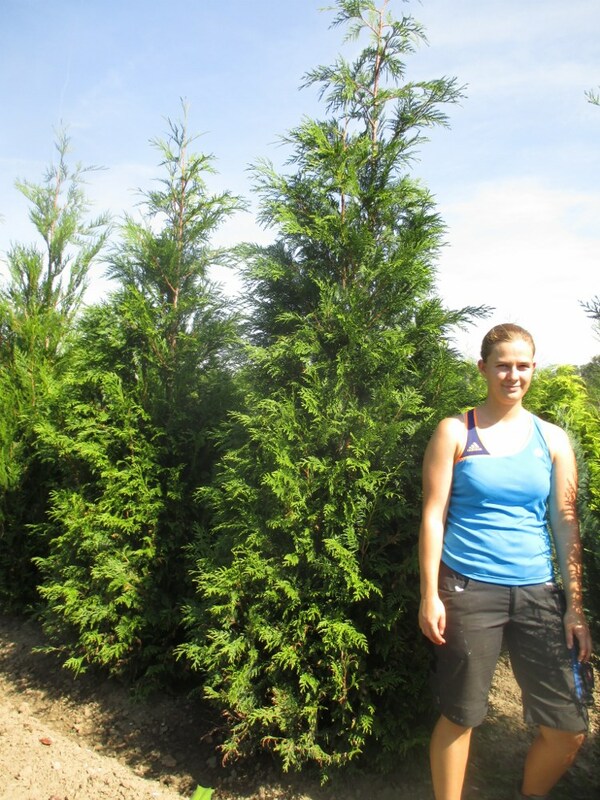 Thuja plicata Excelsa are also deer resistant which makes them great for rural areas. It grows well on moist soil but is wet tolerant; it is robust and takes well to urban climates and can be used as windbreaks. Suitable for: prefer full sun or partial shade.